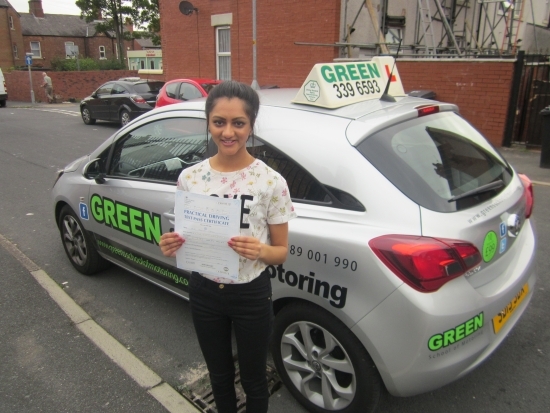 Well Done Monica a first time pass with only 2 minors. A bit of a rush in the end as she´s off to University now. Good Luck in your career and drive safely.